Our guest artist Masashi Echigo presents an onsite produced relational sound piece and a small series of photographs. In his exhibition Where are you pitching your tent? 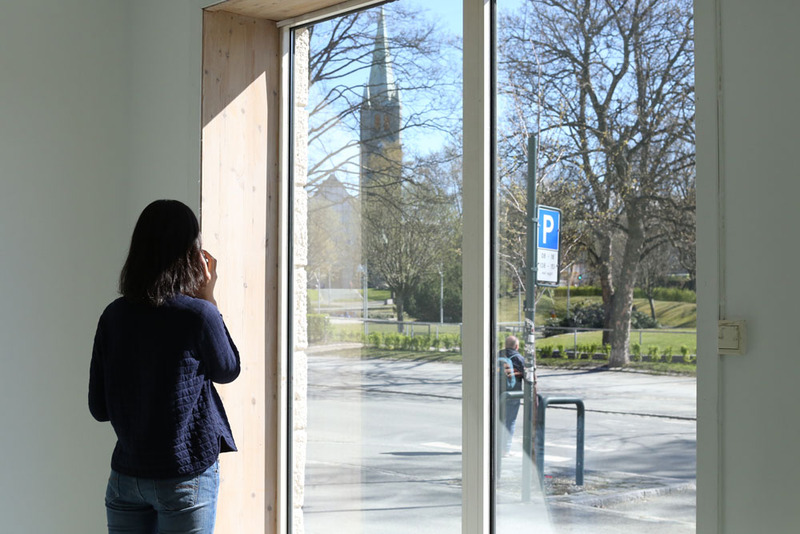 the recording of a traditional Norwegian folk song from the little island Sula, and a traditional Japanese folk song, will be played in the gallery space at irregular times or at request during the exhibition period. The title reflects questions about local identity and feelings towards ones origin, homeland or country. Masashi Echigo is born in Toyama, Japan 1982. Lives and Works in Paris, France and Toyama, Japan. Echigo has lived and spent lengthy periods of time in numerous cities in the world, participating in collective shows and projects over the past few years. Each experience in each place is represented by individual installations that are spatially and emotionally tied to their context. Each installation, even though conceived independently, necessarily enters into a dialogue with the others, constructing a unique narrative landscape that is in the process of evolution, serving as evidence of his voyage. Like the storyboard for a film, this allows for an unfolding of important events in the relationship between himself and the society, inhabitants and culture of, and dominant issues and objects in his host locations. Our book store will be open during the exhibition period. On the 30th and 31st of May there will be a special Babel Book Pop Up! including a number of new titles.